AUCTION DATE: TUESDAY, NOVEMBER 12, 2013 – STARTING @ 11:00 A.M.
Booth, model S-9047A, S/N 7-19M. 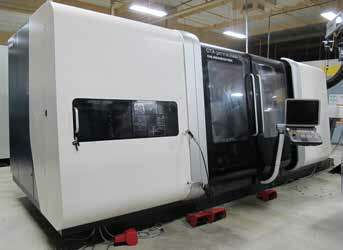 Lagun Vertical Milling Machine, model FTV-4, 11”x54” table, 3 HP var speed, 2 axis DRO. **Machine has been used to make one part and has approx. 500 hours on it. **Machine is Brand New. It has never been installed and is currently off site still in a crate. (2) Excello Center Hole Lappers, model 74 and s-9047A. Large selection of carbide tooling, boring bars, holders, cutting tools, End mills, collets, tool cabinets, rolling tool boxes, inspection tools and etc. (9) Misc. Jib Cranes – 1/8 Ton – 1 Ton in Size. Various pallet racks, racking, and tool chests.